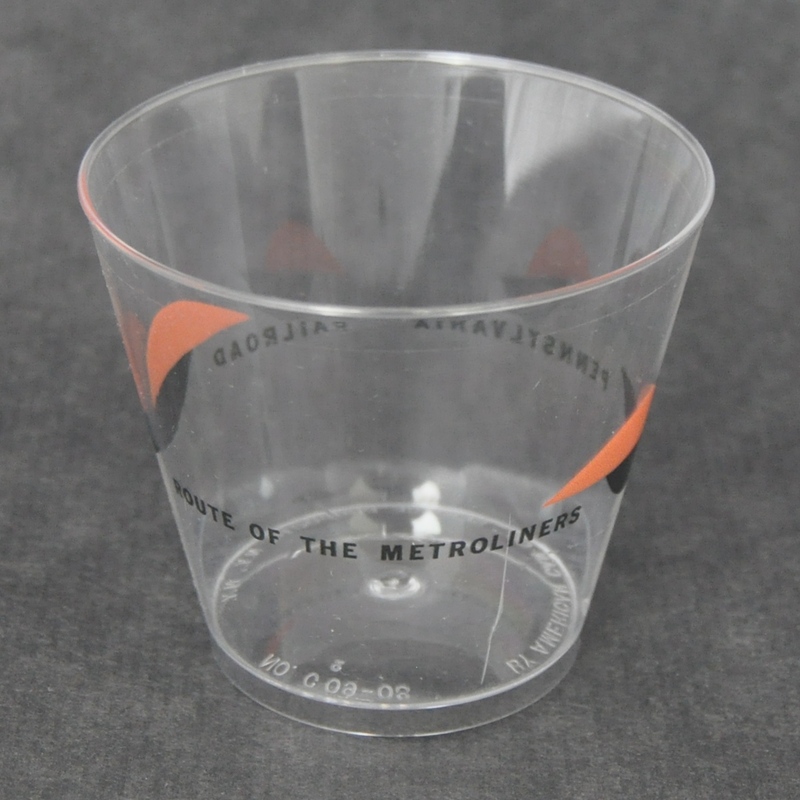 Description Pennsylvania (PRR) Railroad Metroliner Plastic Drink Cup/Glass by American Can Co., Service Products, N.Y., N.Y. NO. 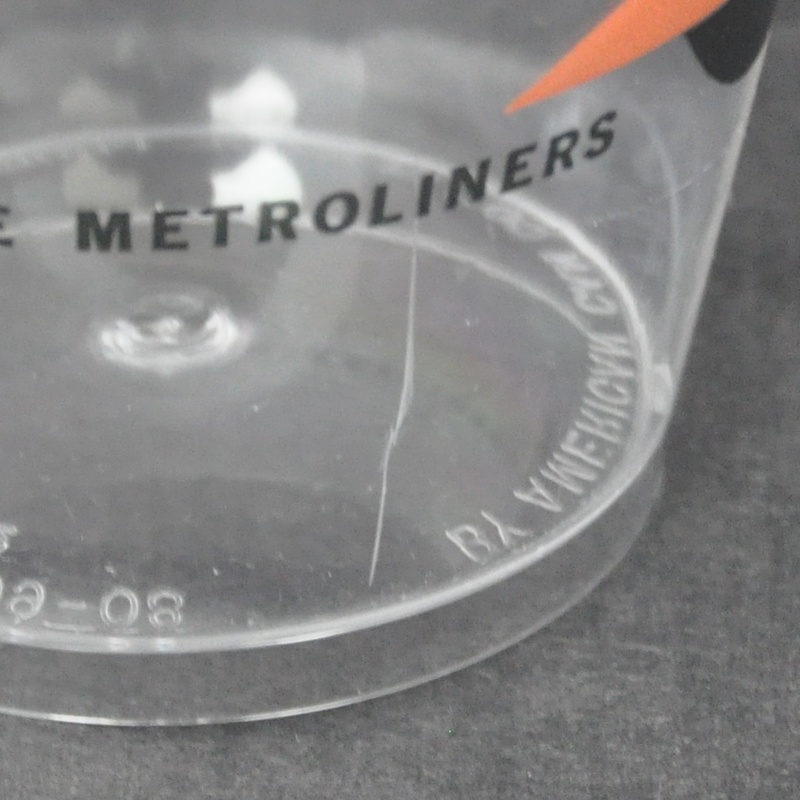 C09-08 Has the Metroliner logo and "Route of The Metroliners" with Pennsylvania Railroad. 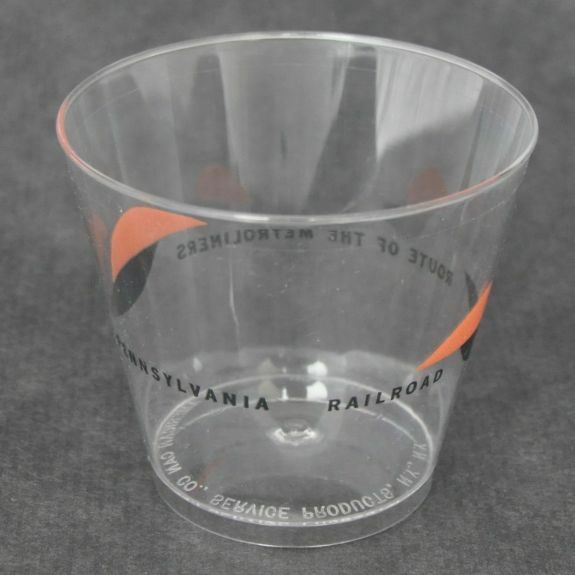 Very collectible as the Pennsylvania merged with the New York Central to for Penn Central before the Metroliners went into service. 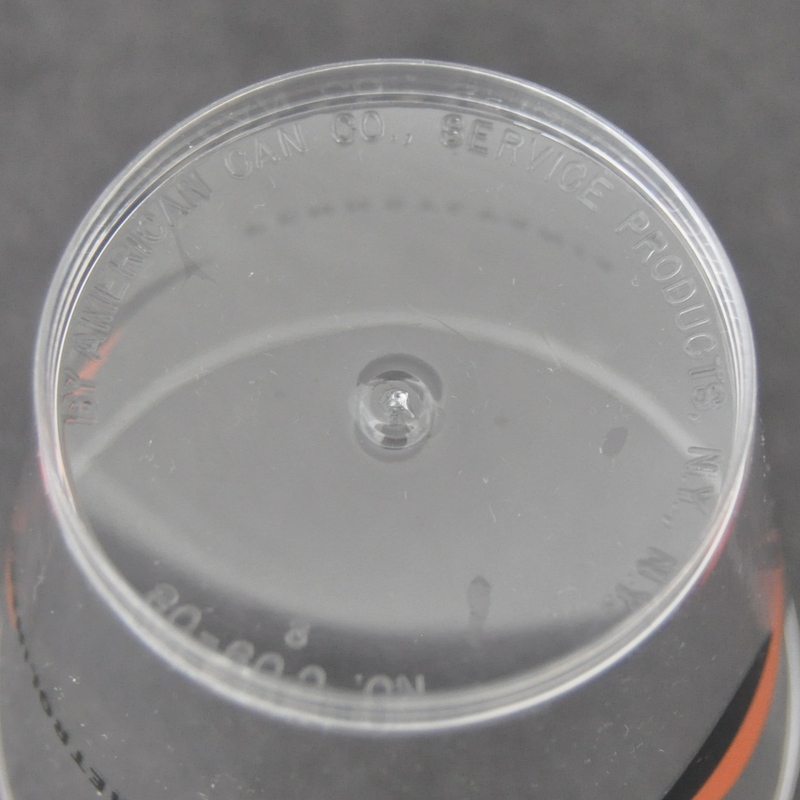 Crack in plastic.